Trollope’s characters are always entertaining, so if you’d like to raise money for the Trollope Society, why not turn your entertainments into fundraising? We’re asking you to hold drinks or dinner party, a picnic or even a garden party, inspired by Trollope. Just choose a Trollope entertainment, adapt it however you like, and ask your guests to make a contribution to the Trollope Society of the value they place on the entertainment. In Chapter 8 of Miss Mackenzie, our heroine Margaret Mackenzie is treated to a dinner a la russe, at her sister in laws, with mixed success. We’re sure that your efforts will hit the mark though. For a less formal entertaiment, try Mr Toogood’s pot luck for a more relaxed evening of conviviality! Follow Mr Toogood’s Ideas About Society, and have an evening of fun. Take your entertainment outside with a picnic or summer barbeque. Mrs Greenow’s picnic on the beach from Can You Forgive Her? might give you some ideas! Don’t forget to ask your friends to donate to the Trollope Society, you can either collect the money and send a cheque, pay online, or set up an event on Just Giving or Virgin Money Giving, so your guests can donate online. 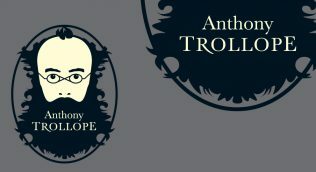 Why not post photos on the Trollope Society Facebook Page – we’d love to see your entertainment!